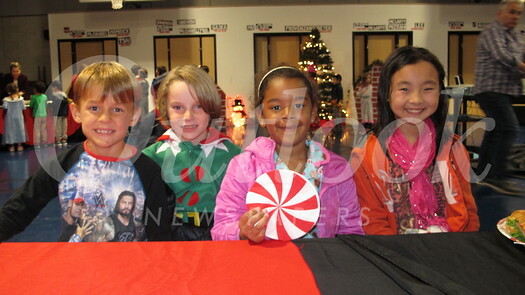 A Friday night in December is the perfect time for a Polar Express night, so students at Palm Crest Elementary School were happy to sign up. The recent event was hosted by parent Leslie Meis, and she was assisted by parents Eric Hermanson and Ajay Perumbeti, and teacher Rachel Harter, who helped with the props and decorations. To everyone’s delight, there was a Polar Express train engine built by Hermanson. After a sandwich-and-fruit dinner, the students did a craft and then got cozy before watching — what else? — the film “The Polar Express.” The enjoyable evening ended with the serving of hot cocoa with whipped cream.